I have had this pen in my possession since the 30th of June but as it was my 50th birthday present I was not allow to do anything more than check it for faults before it was hidden away for 2½ months until the 17th of September. Talk about pain, having such a beautiful pen so close but yet so far. The Royal Gold Raden was one of 388 made. The inlaid stripes are 24K gold foil with mother of pearl over them, they are handmade and Japanese artist signed the body. The pen is M800 sized but is slightly heavier than a standard model due to the mother of pearl inlaid. 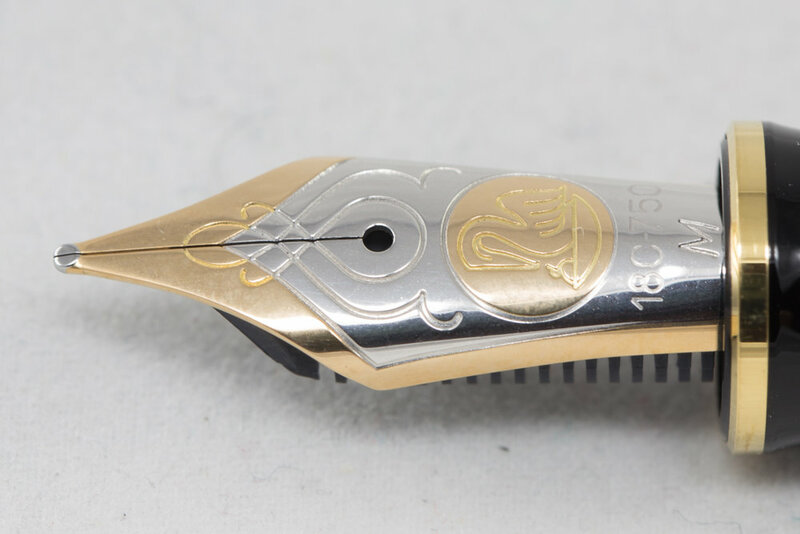 This pen was only available with a standard two tone M800 18K medium nib. The tines were slightly misaligned giving a slight scratchy feeling when writing in certain directions. This was easily fixed - you don't own as many pens as I without learning to align tines. A bit of fingernail work on the right tine and all scratchiness was gone. I had to switch to 'manual' to find an ink for this pen. I had given it the strictest rating so only a select sub-set of ink will be used in this pen. I was taking this pen to the 2017 Pelikan Hubs in Sydney so felt it was only apprioprate that a Pelikan ink be used. 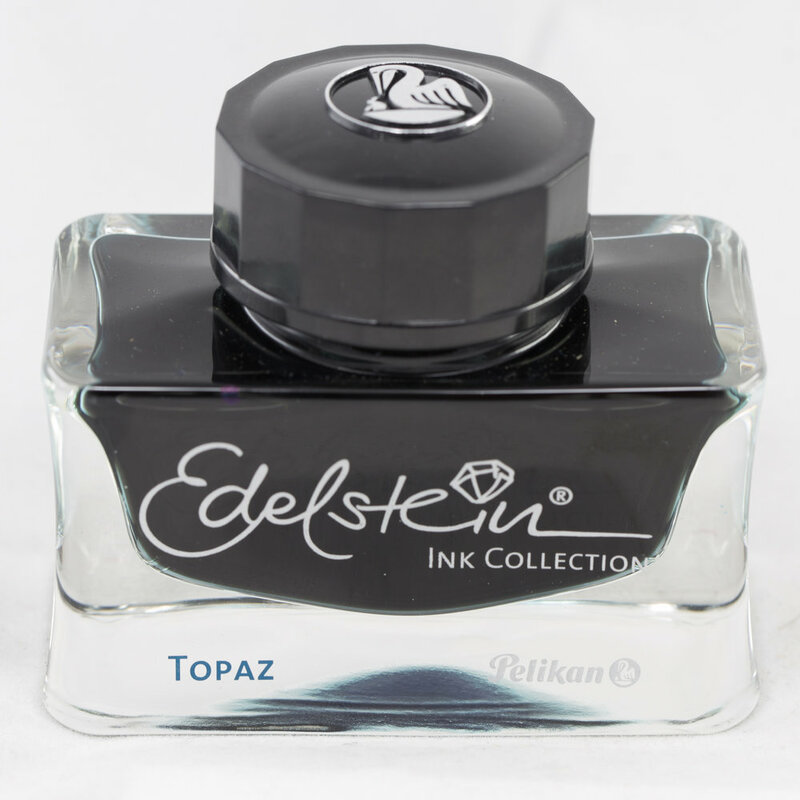 I decided on Edelstein Topaz. I do like the Pelikan Edelstein bottles - squat shaped with a wide mouth but deep enough for plunger filling pens. A mid-blue that exhibits good shading and red sheening on 52gsm Tomoe River paper.